Sonic the Hedgehog (GEN/MD) - Concept: "Mobius"
Other Names (Nicknames): Sonic 1, Sonic Genesis, "The First/Best Sonic Game"
Special Thanks: Fujio Minegishi, "Papa" Character Introductions: Sonic the Hedgehog, Dr. Ivo "Eggman" Robotnik, and the animals: Flicky, Kucky, Pecky, Picky, Pocky, Ricky, and Rocky. Concept Introductions: Sonic the Hedgehog was the first Sonic game ever released, so needless to say it was the first game that introduced the general style of Sonic gameplay: Chaos Emeralds, zones, loops, special stages, checkered hills, themed levels, etc., etc. Concept Deductions: N/A — First Sonic Game, not possible. Unless you deem it necessary to count original beta ideas for the game such as the zone's original names, templates, or Mach, Sharps, Max and Vector. Main Framework: Straightforward level design with hills, slopes, and loop-de-loops. Higher and lower elevations were added for those who wished to explore the levels. Every series starts somewhere. This is Sonic's first game, and the one that finally put Sega on the map. It's got all the current staples: loops, colorful environments, animals to free, high speeds, pinball physics, etc. It all started right here. If you've played this one from top to bottom, like I have, you'll probably have a ball exploring or trying to beat your best scores. The feel of the game, to me, is rather standard and basic. If you're willing to scour every inch of it – rather than speeding through the whole thing – you won't find as many surprises as you would in future sequels. That's no big deal, though, and shouldn't really be stressed over. 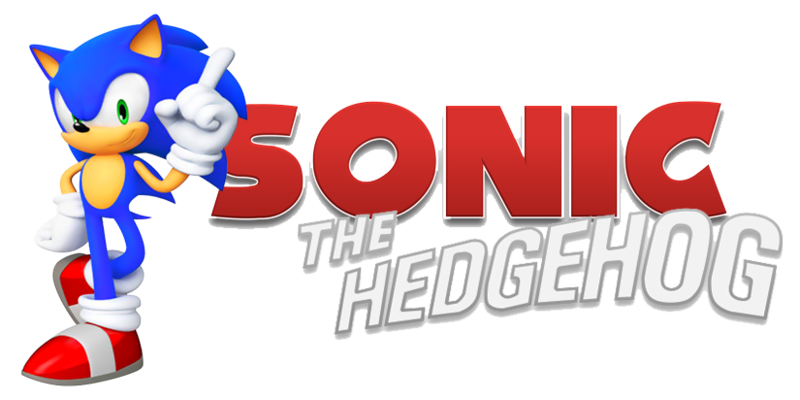 The vast majority of Sonic fans nowadays would prefer if the overall vibe of this game and stuck to this day, with little to no changes. As far as I'm concerned, the series would've been boring as hell had that happened, no matter how "better off" they'd be. Sonic 1 is a good game, but it isn't perfect. None of the classics are. Stating otherwise just makes one out as annoyingly close minded. But, I digress. Either way you look at it, though, this is the game that started it all and you have to respect that…even if you hate the Blue Blur now. Replay Value? Once you've beaten the game, you may or may not find yourself hard pressed to go back, unless you wish to outdo past performances (which is fun) or if this is the last Sonic game left that you enjoy. And, there's always the Chaos Emeralds to go after. Graphics? One can do wonders with 16 bits. The environments are lush and lovely and have been sloped and built to suit the characters in them well. The animations are simple, but they work. Audio? Right from the beginning, the music for Sonic games has always been awesome. Sonic 1's music is catchy, remember-able and iconic, setting a standard that's still being remixed today.. The sound effects are just as easy to identify. Storyline? And here's where the praises end. Most games back then at least had a prologue or something after demo sequences. Even NES games did. Sonic 1 didn't have jack. Nothing. You wouldn't know a damn thing about the story outside the manual. Heck, you wouldn't even know about the Chaos Emeralds or their importance! I know this should be excused since this is an old game and all, but still. A bit more effort could've been made here. And, yes, I know that most preferred to make up their own story in their heads, but that's not good enough for me. If I want my own story, I'll write one. Click on this cocky scamp for the Game Gear review.